Estilo "Affinato" di Modena dark balsamic vinegar condimento, has the highest density of any vinegar we carry at Olivina. Made from the highest quality Trebbiano grape must, this product is super thick and complex, layering flavor throughout. Boasting a 1.36 density and 5% acidity, the vinegar possesses a balance of sweet and sour with perfect harmony and texture. At tastings, we have only experienced the words "wow" and "incredible". Notes of plum, honey and cherry make this vinegar exceptionally appealing and unique. With no thickeners or additives, this product is meant to compete with "25-star" vinegar but at a new level of excellence. This product is available now, in limited quantities! This luscious blueberry infusion is just as amazing over a garden salad as it is over a fruit salad. The nose of this vinegar is true to fruit: aromatic, ripe blueberries with sweet accents and juicy blueberry flavor. Pomegranate is a perpetual favorite; its distinctive flavor and versatility make it ideal for a wide array of foods. The delicate flavor of pomegranate is both tart and sweet, characteristics that perfectly complement the Traditional 18 Year Style dark balsamic base. This vinegar is sweet and succulent, with a velvety rich texture that pairs beautifully with Persian Lime olive oil for basting roasted Brussels sprouts or with leafy greens. Excellent as a glaze for lamb, it also makes an incredible reduction that is delicious over salmon or when drizzled over fresh fruits. Our espresso balsamic is created in Italy, using authentic Italian espresso as an ingredient. Created by the Varvello brothers in Modena, this innovative condimento blends delicate espresso powder adding contrast to the sweet and sour Traditional 18 Year Style dark balsamic base. Expect to feel the fine Espresso granules that enhance this vinegar’s long, rich and velvety finish. It contains as much caffeine as a cup of decaf coffee. Pair this vinegar with any Medium Super Premium EVOO, Chipotle infused olive oil or Roasted Walnut oil for a marvelous, easy vinaigrette that can be used for salads or as a marinade for grilled steak or pork. Try this vinegar in a martini or over vanilla gelato for a unique “Made in Italy” experience. Most people associate the flavor of black currants with the popular health cordials such as Ribena, or with the French liqueur known as cassis. The sweet, earthy and rich berry flavor of black currants in this balsamic is truly unique. It has fresh aromas of gooseberry, passion fruit and hints of raspberry. Combined with the floral aromatic notes of carnations and roses, it lends itself beautifully to delicious vinaigrettes. The underlying tannic structure of this balsamic adds complexity and balance to the berries’ acidity and sweetness. The floral diversity is fresh and sharply cleansing, with no residual sweetness. You can practically taste the sweet, savory, and herbaceous flavors of a delightful herb bouquet just by smelling this balsamic. Dried Neapolitan herbs playfully mingle with our bright, fruity, and complex Traditional 18 Year Style Balsamic base. It boasts the versatility to go from vinaigrettes for simple salads to marinades for meats and vegetables, to homemade chutneys for cheese and salumi plates, to tangy dessert sauces drizzled over poached pears. The essence of sunny Naples runs through and through, making it perfect for countless dishes. The sweet and savory aroma of maple syrup meets a touch of oaky barrel aged bourbon flavor. For an unexpected twist, add it into a brunch themed cocktail. This is superb on pork, brussel sprouts, sweet breakfast items, and grilled pineapple. It is also a great add in to mustards or your homemade BBQ sauce. Made in Italy with a Tuscan strawberry purée that is added to our rich Traditional 18 Year Style dark balsamic creating a flavor explosion of sweet and tart strawberries that perfectly balances the rich, pruney, and jammy balsamic base. It shines with fruity notes that make it the perfect pairing for just about any of our Super Premium EVOO. Our staff and customers love pairing Strawberry balsamic with Basil olive oil to make the most delicious vinaigrette for kale, spinach, or arugula salad. Incidentally, the same combination is just as good when used as a marinade for grilled chicken. Our popular raspberry balsamic condimento is loaded with sweet raspberry flavor balanced by the sweet and sour notes of our high quality base vinegar. This vinegar is very popular on salads and chicken. This familiar flavor is a customer favorite. The Amarena cherry is a small bitter (amara, in Italian) dark colored Italian cherry grown in Bologna and Modena. Italian Amarena cherry purée and our Traditional Style dark balsamic are blended together creating a rich, leathery centerpoint followed by notes of sweet and sour Amarena cherry. The end result is a flavor explosion of cherry and grape must that is at once sour and bitter. Pair this vinegar with Persian Lime, Chipotle and Blood Orange olive oils for a deliciously well balanced vinaigrette or to cook leafy greens. Drizzle over Greek yogurt for a decadent and healthy treat. The rich Sri Lankan toasted cinnamon aroma and the sweet taste of Anjou pear are harmoniously combined to make a savory and sweet balsamic vinegar. Paired with Blood Orange olive oil, it makes a delicious vinaigrette for a festive spinach and baby arugula salad; top it with slices of fresh pear, toasted pecans, and dried cranberries. This balsamic can also be used as a marinade for pork or poultry. Vanilla ice cream becomes fruity vanilla cinnamon bun pear ice cream with just a drizzle. The black mission fig was first introduced to what is now the United States in 1768 when Franciscan missionaries planted it in San Diego. The Mission fig is a high quality fig variety – dark skinned with a strawberry colored interior that boasts sweet fruity flavors. Our balsamic condimento is infused with highest quality all natural fig extracts producing a rich, sweet sensation on the palette. We like this to use this vinegar for marinating, finishing salads and pairing with any of our ultra premium varietal olive oils. One of our customer and staff favorites. Crafted in Modena, Italy by Aceto Varvello and inspired by rare lots of 18 Year Balsamico Tradizionale di Modena, our Traditional Style condimento has everything you would expect in a world-class balsamic: the perfect balance and structure of sweet and sour, notes of prune and caramel with a creamy texture that extends into a long finish. Made with an exceptionally high percentage of Italian Lambrusco, Sangiovese and Trebbiano grapes that are slowly cooked to create the highest quality grape must base. The must is then combined with barrel aged Sangiovese wine vinegar to start the acetification process. 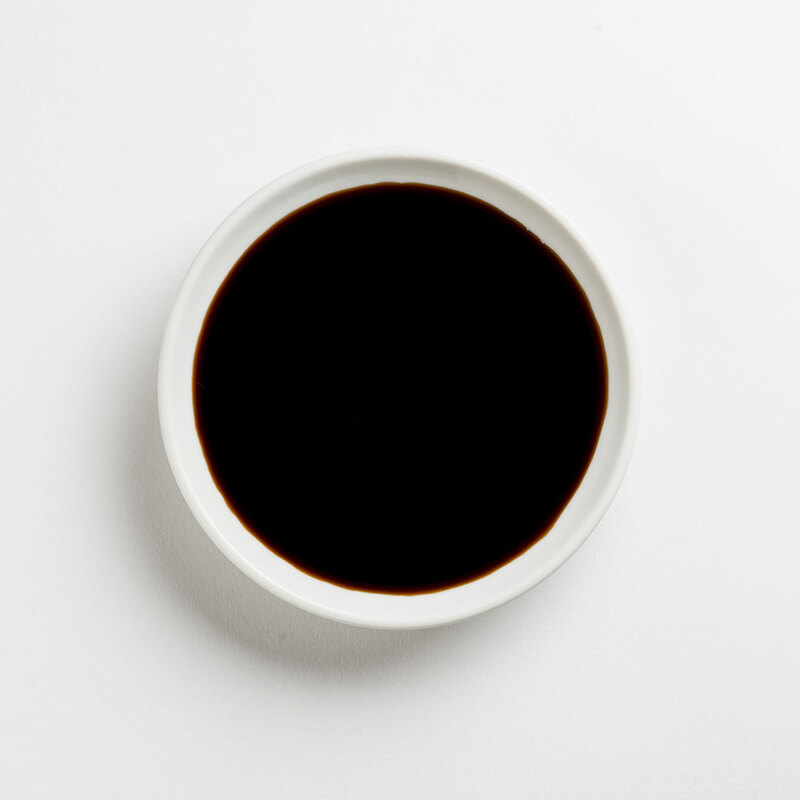 The end result is the most premium example of an extremely high quality balsamic condimento that pairs well with almost every olive oil in our store. Certified I.G.P. by the Consorzio di Modena, this balsamic was artfully crafted with the highest amount of Italian grape must that was deemed necessary to balance out this vinegar’s 6% acidity. The resulting product is a well-balanced, rich, sharp, and velvety-smooth balsamic.